The Congress party is at the rock bottom of its political fortunes in the Capital — it has not had a single MP or MLA from Delhi in last four years. 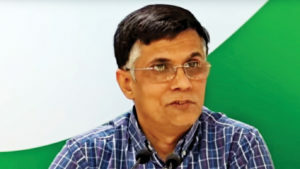 Given this sorry state of affairs, a possible alliance on equal terms with the Aam Adami Party (AAP) — to field three candidates each in the 7 Lok Sabha seats, one goes to an independent candidate supported by both the parties — is just what the doctor ordered. This proposal was initiated by the incumbent Chief Minister of Delhi, Arvind Kejriwal, who has the support of many in the Congress. Ajay Maken, former Delhi Congress Chief and PC Chacko, party in-charge of Delhi, are in favour of it. For Congress there’s not much to lose and a lot to gain. On the altar of pragmatism, it’s advisable to sacrifice past feuds. Dikshit was adamantly against the possible alliance, and even the high command is reluctant to overrule her, but a way out has to be found. The matter was referred to the party cadres. An internal survey was ordered last week to ask booth-level workers for their view about a possible alliance with the AAP and the results have already been submitted to Congress President Rahul Gandhi, who will take the final call. Dikshit is not happy about the survey, either. She has even dispatched a letter against the alliance to Rahul Gandhi. Now she’s indicated that if Rahul Gandhi is keen, she is ready to align with Kejriwal. But she did everything in her power to kill the alliance. Dikshit has already met Sonia Gandhi and discussed her concerns with the former Congress president. The high command finds it hard to brush aside her concerns and views. If the Congress and AAP join hands, which now seems likely, it will have to be announced by Dikshit, and make the decision sound unanimous, explains a senior leader of the Congress party who’s part of the negotiations. Dikshit, an able administrator, epitomises the desperation of the Congress party in Delhi. 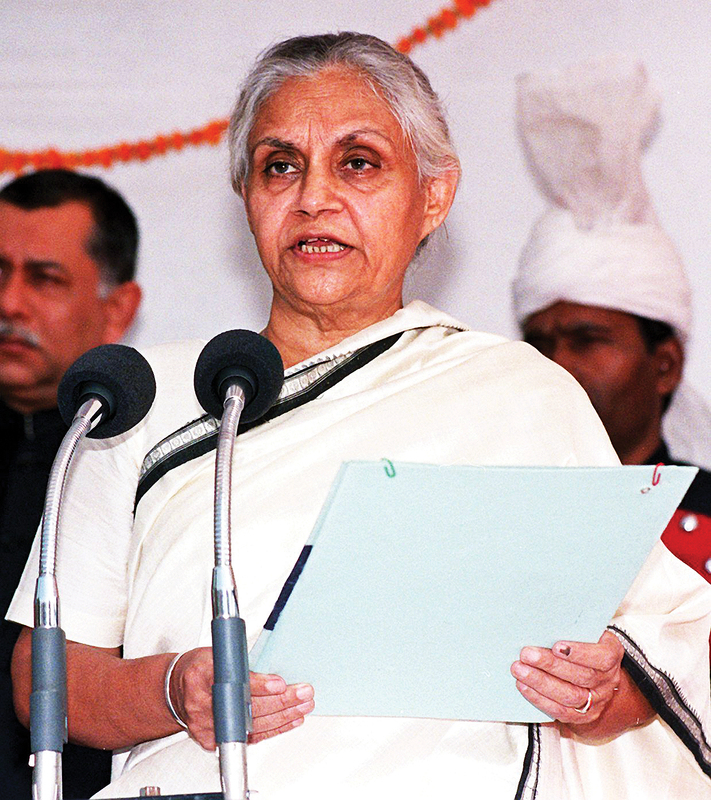 Pulled out of her retirement, made the President of the Delhi Congress at the age of 79. She’s healthy for her age but has had three heart surgeries and those who are close to her tell she gets tired easily, perhaps that’s why there are three working presidents to assist her in the day-to-day functioning. The elections are very close, there’s no time to procrastinate. “I’m certain: both BJP and AAP are evil. It’s a question of aligning with a lesser evil to stop a bigger evil,” says a close confidante of Dikshit, who’s eyeing a Lok Sabha ticket. Two senior leaders of the AICC have confirmed, party cadres and leaders in Delhi, like the former MLA Shoaib Iqbal, are aware of this fact. Dikshit wants the East Delhi seat for the Congress. If Dikshit has her way, her daughter Latika Dikshit is likely to contest from the seat once held by her son Sandeep Dikshit. If she cannot make the party agree to her name as she’s a political novice, she may settle for her key aid, Pawan Khera, who’s currently the spokesperson of Congress. Khera was very influential when Dikshit was the Chief Minister. He would entertain top editors in posh hotels and had developed enviable skill of getting stories dropped that would portray Dikshit and her family in bad light. He’s known to be close to Anil Ambani’s establishment in Delhi, while his party chief, Rahul Gandhi, accuses Prime Minister Narendra Modi of having favoured Anil Ambani, “Dear students & the youth of india: everyday there are new revelations about RAFALE that make it clear that the PM helped his friend Anil Ambani, steal 30,000 crore of your money,” Rahul Gandhi had recently tweeted. Dikshit is one of the most important politicians to emerge from Delhi. A Delhi girl, graduate from Miranda House, her good taste for sarees is admired in Delhi’s glitterati. She was part of an exclusive saree club — where sarees were gifted as a gesture of friendship — that included Sonia Gandhi and Gursharan Kaur, wife of the former Prime Minister Manmohan Singh. A Chief Minister for 15 years, that included a term when BJP’s Atal Bihari Vajpayee was the Prime Minister, it has to be said that she’d didn’t have tumultuous relationship with the LGs, though she had her share of differences, it never really became a public spectacle. Referring to the multiplicity of agencies that are responsible, supporting full statehood for Delhi, she had famously said, “I run Delhi on goodwill.” That goodwill is conspicuously absent these days. Kejriwal was scathing in his attack. Held her responsible for the corruption in the 2010 Commonwealth Games and the AAP government ordered a probe into the street light purchase scam where Dikshit’s alleged role had come under the scanner. Also, Kejriwal constituted a Special Investigation Team to probe the 1984 anti-Sikh riots, where Congress leaders are accused of having incited mob violence against the Sikh community in the aftermath of Indira Gandhi’s assassination. Now having dealt with Modi, Kejriwal, who has, in the past, called the former a “psychopath”, now wants the Congress’ help to defeat BJP in Delhi and Haryana. If Congress and the AAP join hands, it’s likely that they will pose a challenge to the BJP in all of the 7 Lok Sabha seats in Delhi — united they may win, divided they lose for sure. As the Chief Minister of Delhi, in the Open Magazine, Dikshit had dismissed Kejriwal as not a worthy political challenger. “Kejriwal is not even on our radar,” she had said. She couldn’t have been more wrong about the prevailing political state of affairs in the state she ruled as the chief minister for 15 years. She might be wrong this time as well, feel some in her party.